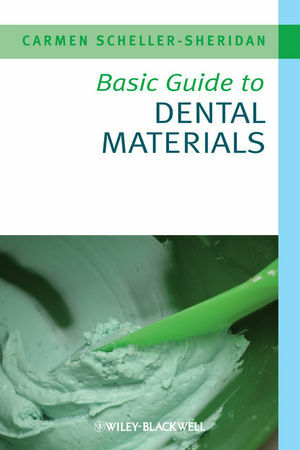 The Basic Guide to Dental Materials is the essential guide to dental materials for all members of the dental team. The book includes coverage of all basic dental materials, their uses and examples of each; step-by-step illustrated guidance as to the proper manipulation of materials, instructions on the four-handed delivery of dental materials and relevant instruments, practical advice on the appropriate and safe clean up and disposal of dental materials (to include how to read an MSDS sheet) and a comprehensive glossary of key terms. Information is provided in a clear and concise manner, breaking the topic of dental materials down to the core basics. Carmen Scheller-Sheridan is a Tutor in Dental Nursing at the Dublin Dental School & Hospital, Trinity College, Dublin, Ireland. She is responsible for the National Dental Nurse Training Programme of Ireland and author of the Basic Guide to Dental Instruments. Preface – How to use this book. 6 Acid etchant, bonding agents and fissure sealants. 14 Material safety data sheets. 15 Introduction to four-handed dentistry.